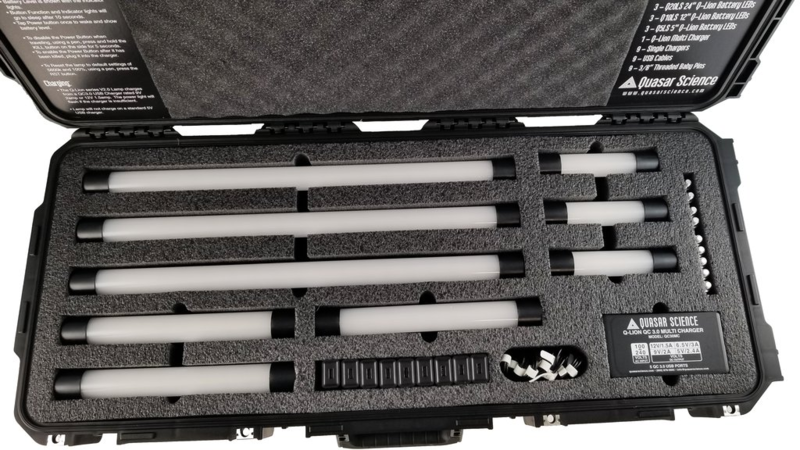 Quasar Science has a new 3x3 light kit with the battery powered Q-Lion lights. Just bumping this up because I really dig these lights. Expecting another shipment of 2' Rainbow RGBX Lights in a few days. 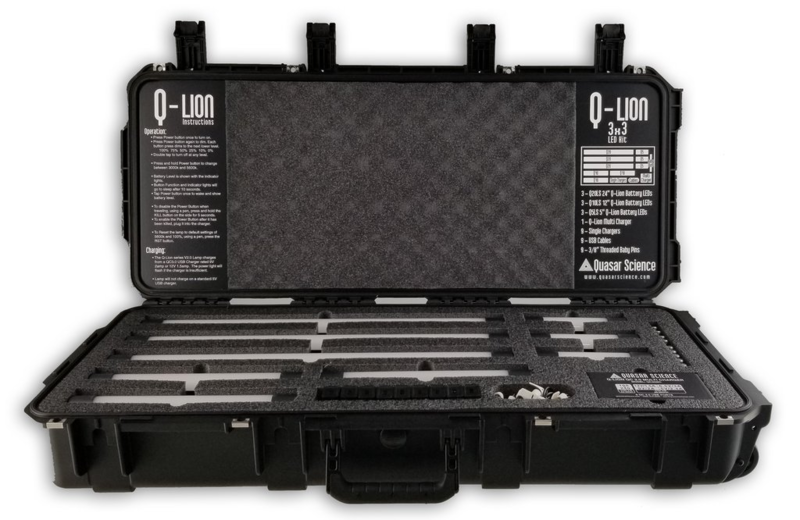 We've decided to start stocking the Quasar Science 3x3 Q-LION Kits in Austin. We can the ship the same day ordered if placed by 3PM. Last edited by Terry Nixon; 11-06-2018 at 07:41 PM. We're expected this new Quasar Science kit to arrive in a couple of weeks. 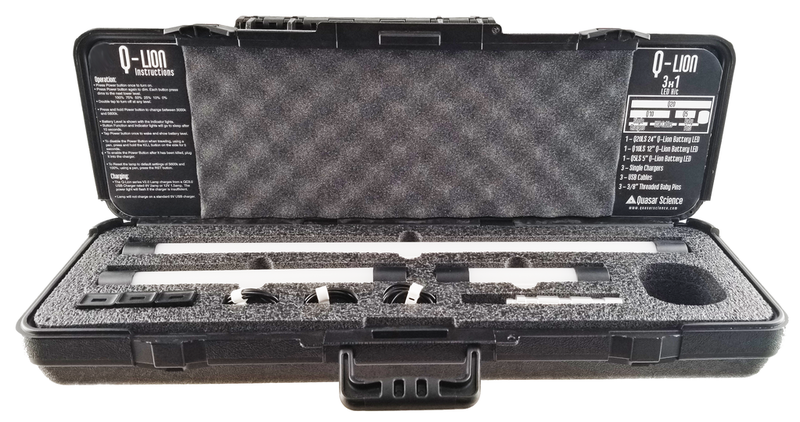 If you don't need the case, the Q-Kit offers the sames lights for $629. 4' Quasar Science Rainbow Lamps are on their way to Texas Media Systems. It's been almost three months since we got our last shipment of 4' Rainbow Lamps. New orders will ship next week when new 4' Rainbow shipment arrives in Austin. Last edited by Terry Nixon; 12-20-2018 at 07:58 PM. Just received another shipment of Quasar lights this. Our first shipment of the 3x1 kits sold out pretty quick. 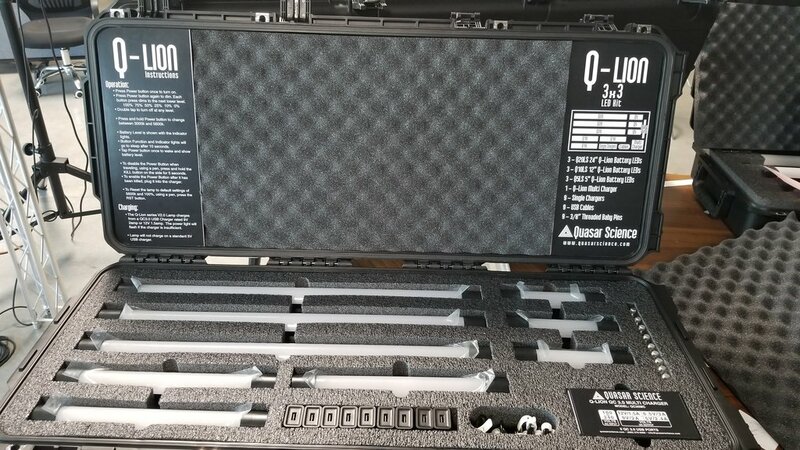 Case for Quasar Science LED tubes?